Get exclusive access to records of construction projects that are currently underway in major UK cities. 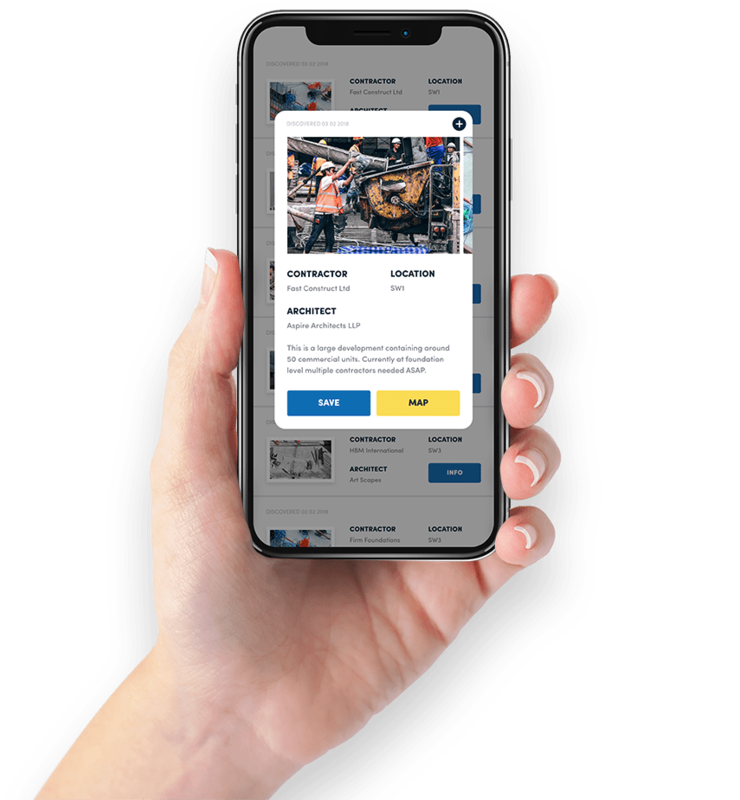 Imagine having up-to-date information on live construction projects across your city - photos, names, numbers and key contacts to help your sales team do their job effectively. Our project spotters hit the road five days a week, searching out live construction projects throughout major UK cities just for you. We record every aspect of the project, the name of the site manager and details of on-site contracters giving you the inside information before anyone else. We’ve done the ground-work, it’s now down to your sales teams to use our data to effectivly develop new business based on our findings. SB Joinery would sincerely recommend Robinson Thirsk. We now view these leads as a vital part of our lead generation process. These are live leads on projects happening right now. We have secured over £200k of orders directly off the back of these leads to date, a healthy ROI to say the least! Even if you do not secure the order for the specific project found, they are good contacts and information of contractors working in the area.